Space: Do you have the space to put in a garden. 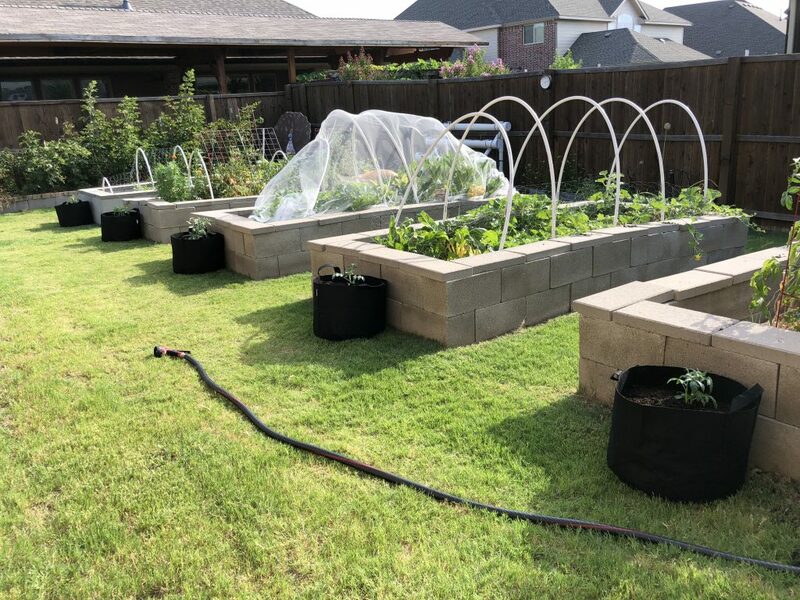 Of course, if you aren’t blessed with much of a yard or if yours is filled up with a pool, or the kids trampoline, or whatever else, there are many many books and blog posts written about container gardening. If you want to do a raised bed on the ground, you can easily start with something even as small as four feet by four feet. In fact, starting small is a great idea. The last thing you want to do is put in too much garden, then wear yourself out and get frustrated trying to keep up with everything. Gardening is like learning how to drive a car with a manual transmission. At first there is a lot to pay attention to. It’s frustrating and seems impossible. But then after a while it becomes more second nature and less overwhelming. So, starting small is a good idea. I started with a single bed that measured approximately 4 feet by 10 feet. Sunlight: Everything you’ll want to grow needs sunlight. Lots and lots of sunlight. Sure, there are some things you can grow with slightly less sunlight, but even those things grow better with LOTS of sunlight. Most vegetables need about six hours of sunlight per day. Things like tomatoes and squash need more like 8. Plants where the part you eat is the root can tolerate less light than that. (Think beets and potatoes). Irrigation: Your new garden is going to need to be watered regularly (although less than you might expect). Your enthusiasm will likely wane if you’re carrying water, or hauling hoses, or dealing with kinks in hoses, or any of a number of other watering inconveniences. The easiest thing is to install a simple drip irrigation system. You could run a garden hose from the spigot on the house, to your garden bed, attach a timer to it, and water automatically. Soil: If the only thing you seek to do as a beginning gardener is to have good soil, you can’t help but be successful. Do what it takes to have healthy soil and everything else will fall into place. Add organic material regularly, and cover with a think layer of mulch.